We create, produce and manufacture a wide range of Specialist and Industrial Products. Many are made bespoke for clients and we will endeavour to fulfil any customer request. Here's an example of some of the specialist products we stock but please do not hesitate to contact us for specific items. Highly concentrated liquid detergent, specially created to use on oil rigs and ships but also regularly used on supertankers, mining equipment, road trucks, trains and boats. Anywhere where heavy oil and grease needs to be broken down. A very effective cleaner and degreaser. Conforms to NATO specs. A high foaming detergent used for electric components, air components, gas components and high foaming tests. Reduces the surface tension of a liquid, causing the liquid to spread across or penetrate more easily the surface of a solid. Basically, makes water wetter! A specialist lab detergent. Can be used on microscope slides, delicate pieces of apparatus, chemical glassware, metals and porcelain dishes and can also be used as a general wetting agent. 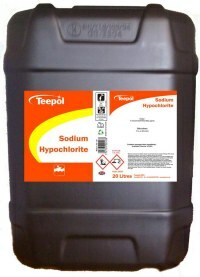 A liquid form of chlorine used as a sanitiser and disinfectant in swimming pools. Effective against Legionella bacteria and bio film. Used on a large scale for surface purification, bleaching, odour removal and water disinfection. 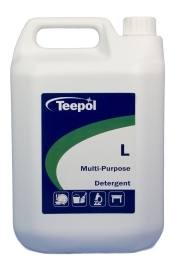 Can also be used as a sterilising product for farm use (used in milking parlours, on equipment and surfaces). Used for swimming pools, marine equipment and high scale areas. Rapidly dissolves all water scale and lime plus it removes mud, rust, and other non-soluble sedimentation deposits safely and effectively. 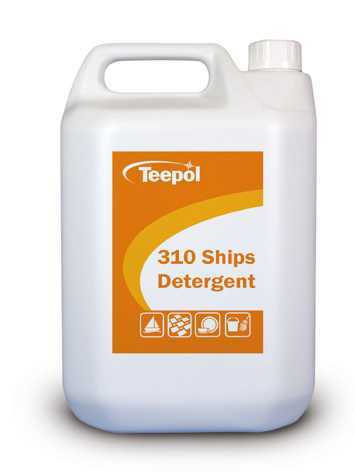 Used in the marine industry for many years, Teepol 310 is THE product for cleaning and maintaining ships and boats and marine vessels. Great for engine compartments and bilges, as well as cleaning throughout the ship safely and effectively (hulls, decks, fibreglass, wood). Can be used equally well for hard, soft and sea water. Conforms to NATO specs. General high-active industrial cleaner with numerous uses including use as an industrial plasticiser and a base material for other products. A high foaming, pure detergent with numerous industrial applications. A nominal 40% active matter solution of the sodium salts of a broad cut primary alcohol sulphate. 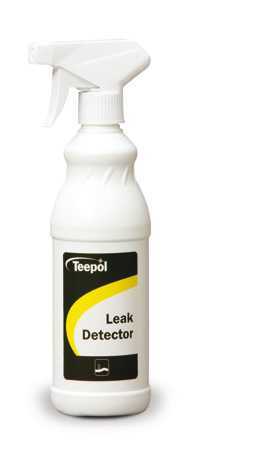 A non-corrosive and non-flammable liquid leak detector which is renowned for its quality and efficiency in detecting gas and air leaks in hard to reach areas. Safe to use on oxygen. Certified against MRSA, E.coli and Salmonella and will kill 99.9% of germs. 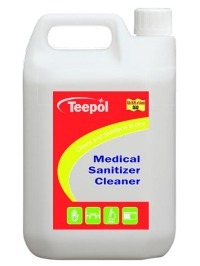 Cleans and disinfects in one. 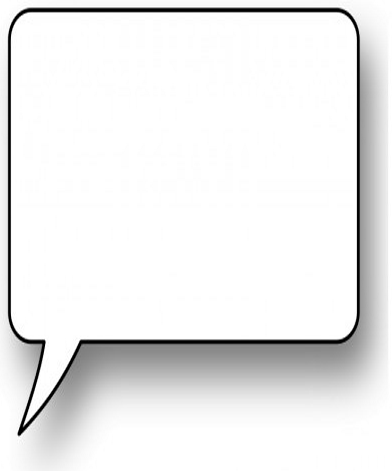 Can be used in all medical establishments including hospitals, doctors surgeries, dentists, clinics, nursing homes, day nurseries and care centres. But also perfect for sanitizing general equipment and surfaces including sinks, refrigerators, tables, benches and tiles. A high concentrated traffic film remover suitable for all vehicle types including cars, trucks, trains, rigs, combines and farm machinery. It can also be used to clean UPVC windows and doors. A specialist product suitable for a variety of uses including: Construction: plasterboard, additive of concrete, additive to mortar & render. Leather: leather softening agent. Wool: wool cleaning agent. Paper making: penetrant, flocculating agent, deinking agent Auxiliaries: textile auxiliaries, plastic auxiliaries. Mineral Choosing: mine flotation, coal water mixture. Fire-fighting: oil well fire-fighting, fire-fighting device.